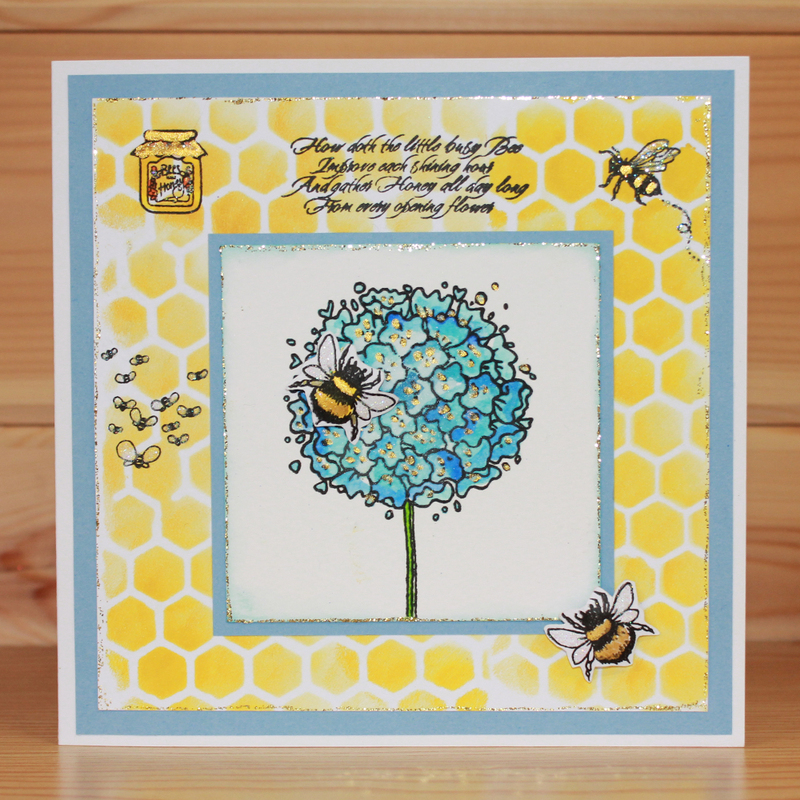 Lisa demoed the fantastic new acrylic books and ATCs from That's Crafty!. You'll be seeing lots of our samples on the blog soon. And so, another Extravaganza Day came to an end. Thank you again to everyone who joined us, it was lovely to see so many familiar faces and to meet lots of new people too. Enormous thanks to Georgina Ford, Jenny Mayes and Sue & Harvey for giving up their Saturday to be with us, thank you for agreeing to do workshops, everyone who took part had a great time. To Paul, Kate, Jan, Rose, Jo, Martina, Julie, Donna & Geoff; thank you SO MUCH for all your help. Next on the agenda is the August class, on Friday, August 5, in Fant Hall, Maidstone. 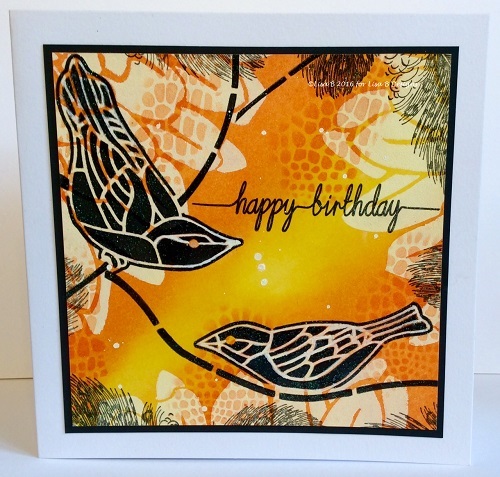 There are a few spaces available in both classes; 2.30-5.30 and 6.30-9.30. To book, contact Lisa on 01622 675078/lisabaker1@btinternet.com The cost is £16 and a £6 deposit will secure your place. The mobile shop will be open from 2.30 to 9.30, so feel free to pop in, even if you're not doing a class. That's all for now, thanks for visiting the blog today. Hello everyone! I hope you've had a great week. 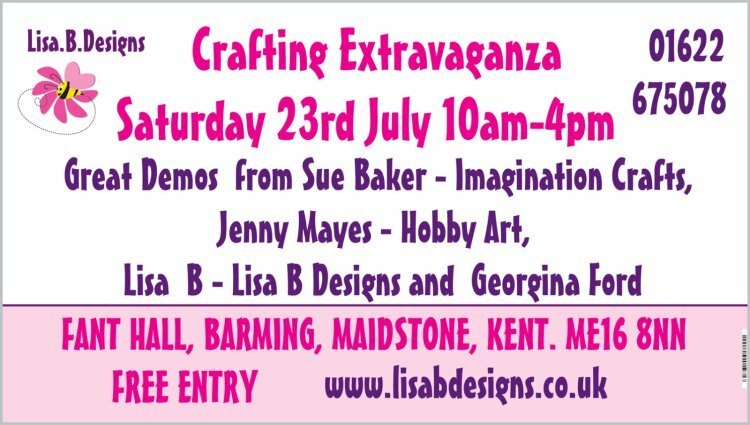 Just a quick blog post from me, the night before my annual Craft Extravaganza Day in Fant Hall, Maidstone Kent. It's been a hectic few weeks, getting everything prepared, but I think we're there. The vans are loaded, the food is prepared, the samples are made and almost every item on the numerous to-do lists has been crossed off. Kirsten & I have made lots of samples with some new products. Some in particular, I am VERY excited about demoing for you. The SALE crates are groaning under the weight of all the products I have added to them. I think I have added 40 - 50% of my stock to the SALE, so if you're looking for a bargain, Fant Hall is the place to be tomorrow. 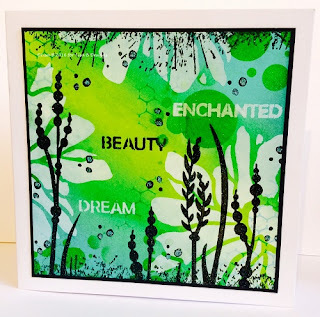 I am very excited about tomorrow's three workshops and very grateful to Sue Baker of Imagination Crafts, Jenny Mayes of Hobby Art and Georgina Ford of Designs by Georgina, for offering to demo most of the day AND do a workshop. 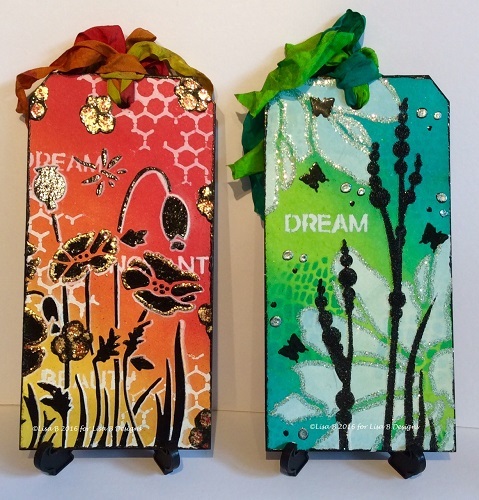 There are a very few places left for these workshops. They cost £6 each, which is non-refundable and you can book with us at Fant Hall tomorrow morning. That's all from me for now, there's still a few things to do before bed. 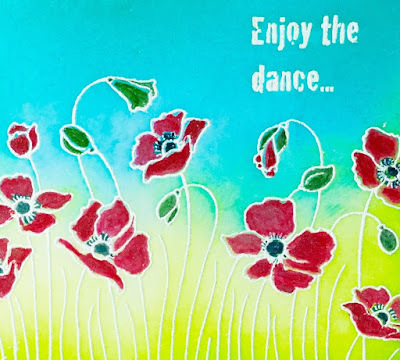 Thank you for visiting the blog and I look forward to seeing many of you tomorrow. 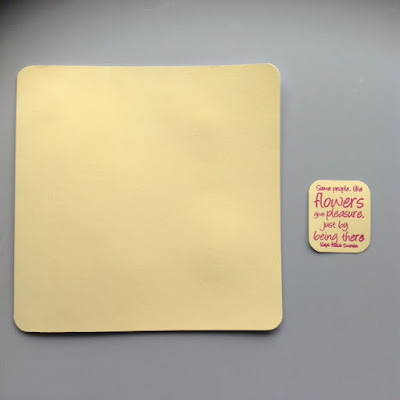 Morning crafters, it's Julie here with an idea for using up all the little scraps of rice paper leftover from previous projects, as I'd kept them 'just in case'! I die cut 5 flowers in white card in various sizes using dies from my stash (although different size punches would work as well) and I had a die cut white card ring leftover from my previous seaside card so thought this would be useful! I gathered up the scraps of rice paper and using water and a paint brush randomly tore them into even smaller pieces on my craft mat. I then set about decoupaging the flowers with the little bits of rice paper using Magi-Bond as my glue. 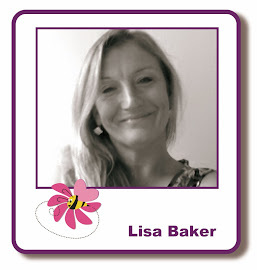 Don't worry if bits of rice paper are overhanging your flowers as this can be sorted later. 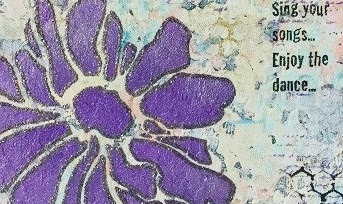 I did all the flowers in the same principle using only 2 colours of rice paper per flower, one for the centre of the flower and the other for the petals. I then set these aside to dry. Next I moved onto the white ring of card giving this a coat of Starlights Silver Gold, (being lazy I used scrap paper so I didn't have to clean my craft mat) and put some cling film around my brush (only have to wash your brush out once then), so I could give the ring time to dry before applying a second coat of Starlights for a better finish. I set this aside to dry and moved onto my 7x7 card blank and a random cut-off piece of white card. I gave them both a coat of chalk paint of a lovely summery yellow colour. Whist the paint was drying I tidied up my flowers by realigning the dies I used over the white card backs and running them back through the die cutting machine, this is much easier then cutting them out with scissors, although can be done is you're not using dies. 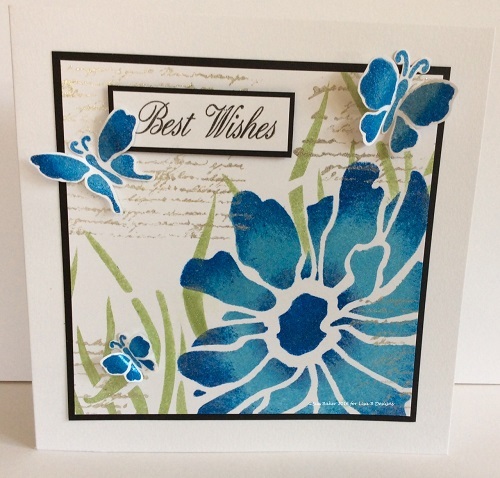 I stamped a stamp from the Say It With Flowers set by Cardio Combinations in VersaColor Peony ink and used WOW! 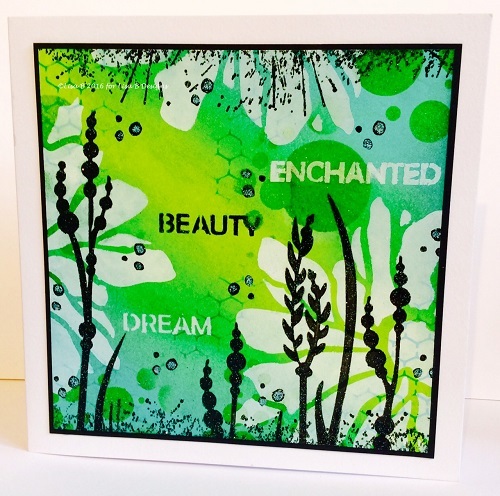 Clear Gloss embossing powder and heat set. I trimmed the greeting down and rounded the corners off with a corner punch. I rounded the corners of the dry card blank too and then used the same peony ink on my tile to stencil randomly over my card blank using a Distressed Harlequin Dinky Stencil from That's Crafty. 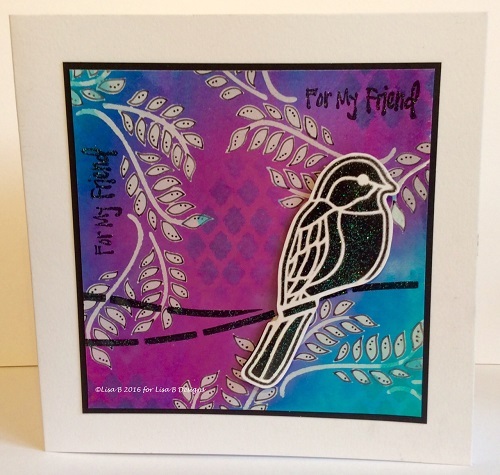 Once I had finished with the stencil I decided the card background was too bold, so I knocked back the colour using a baby wipe (making sure you only go in one direction only - I went horizontally from right to left, as I'm left handed). 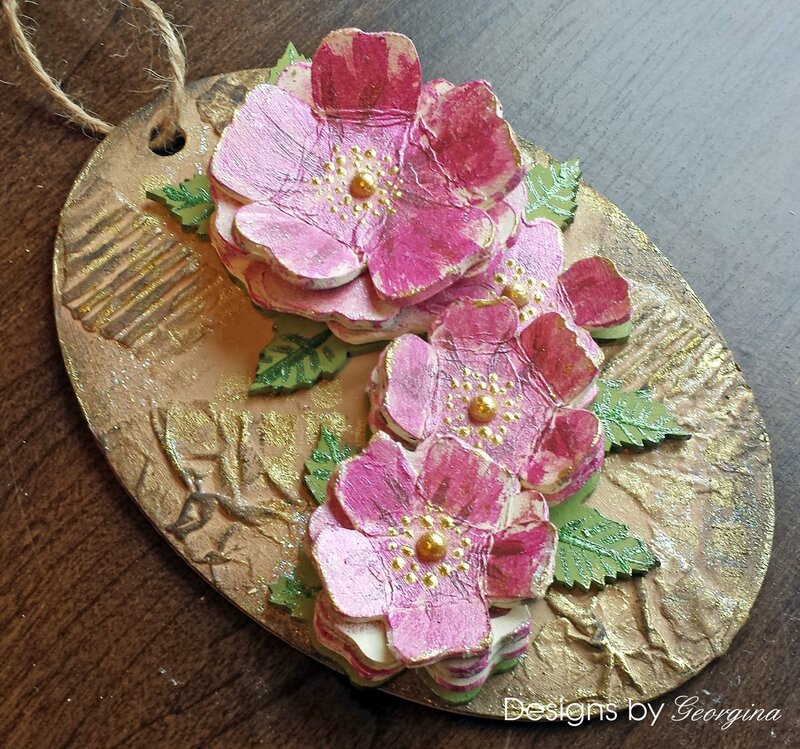 I sent this aside to dry and moved back to my decoupage flowers not wanting to put anything in the middle of the flowers (as it would cover over the pretty rice paper) I decided to 'bling' the flowers up using Diamond Sparkle Medium, applying it with my finger. 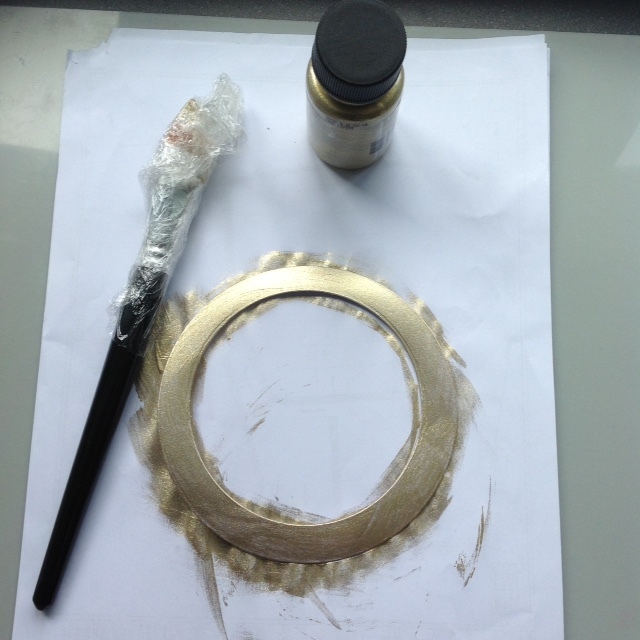 I then started to assemble my card, centring the Starlight ring first on my card using double sided sticky pads. When the Sparkle Medium was dry I moulded the flowers using an embossing tool and foam mat to give a 3D effect and stuck these on with double sided sticky pad using a bit of cosmic shimmer on the back of the pad so I'd get some time to arrange the flowers just so (this means you don't have to get it right first time, when sticking these on). Finally sticking my greeting on with double sided pads as well, finishing off with 3 pearls in each corner from my stash. 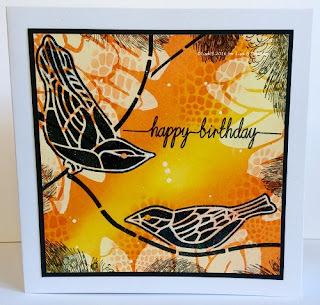 I hope you enjoyed this card and would recommend using scraps of rice paper to decoupage with as its great fun..maybe even one the children or grandchildren could have a go with you! 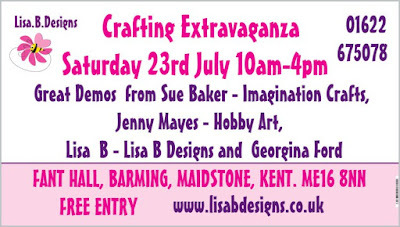 Have a lovely day and hope to see you at the Crafting Extravaganza event this Saturday. 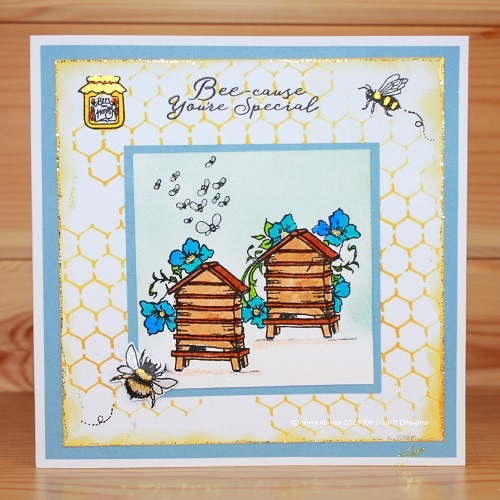 Imagination Crafts ODS on Hochanda Today!